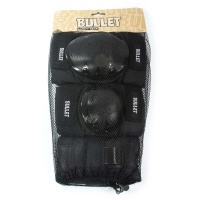 Bullet make great protection and safety equipment for board sport and skate enthusiasts ranging from helmets to knee, wrist and elbow protection all at an affordable price point. Make sure your kids stay protected no matter they get up to! 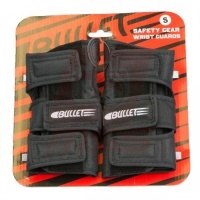 The Bullet Combo Pads Set features elbow, knee and wrist protection keeping the primary bail zones protected! Make sure you stay protected whatever your sport! 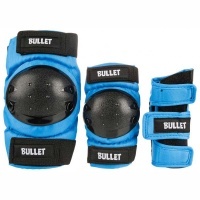 This pad set includes elbow, knee and wrist protection keeping the primary bail zones on your body protected! 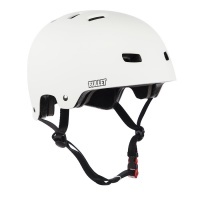 The bullet deluxe helmet is a great budget helmet, without sacrificing safety features. It is finished in a Matte Red and perfect as a base for your stickers. 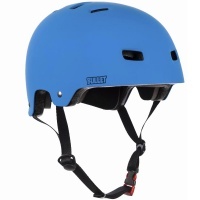 Special smaller shell version of the classic Bullet Helmet the Grom in Blue is perfect for younger children in a cool matt blue colour. 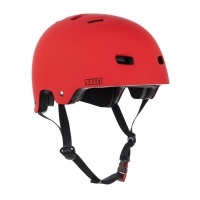 A great helmet for ripping the street or park up. 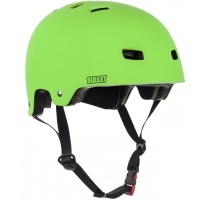 A smaller shell version of the classic Bullet Helmet the Grom in Green is perfect for younger children in a cool matt green colour. 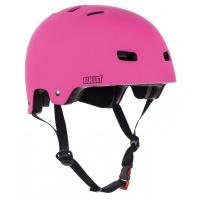 A great helmet for ripping the street or park up. 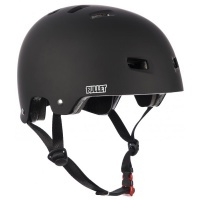 The Bullet Helmet is our standard helmet for packages and beginners great fit and value for money helmet in standard matt black finish. Perfect as a base for stickers! The Bullet wrist guards are ideal for mountain boarding when learning & progressing where you will often fall back onto your hands and wrist. They feature a solid splint.